You are here: Home » advise » Why I Chose React Over Angular? I was in a dilemma recently. Angular or React ? When it comes to code you have a lot of choices. You have so many different options it can very quickly become over whelming. But let’s back it up a bit and start from the beginning. So you want to learn how to code? 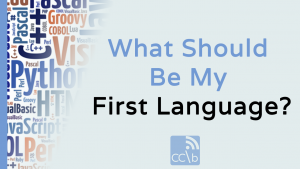 The first thing you need to figure out is which language do you want to learn. To either learn how to Program. Which I explain Here. Or you know how to program and need to know what would be the best language to choose for your career goals. There are tons of new languages coming out all the time and it is not going to slow down. But that’s not all. Once you know the language you have even more libraries created to choose from that are designed to make life easier to code. They will cut down you time on doing some specific tasks. But that’s not all. Cause on top of that there are tons of frame works! A specific way that you can structure things to make it even easier and cleaner to read. Oh man how do you make any choice when there is to many options. You research. You have to go on your own and research the stuff. Everyone who gets involved with code does research. I explain more in depth on another video. Well, first I looked to see what the trends were for both of them. I could see react was gaining and showing no sign of slowing down in the near future. On the other hand. A lot of places where asking for someone with Angular experience. However, I did notice that people were less excited about angular’s update to angular 2. And interest in angular is beginning to stagnate. Now React is still younger and newer. So I could be taking a risk on something that goes away despite it gaining a lot of traction lately. These things can be very fickle and fads in frame works and libraries is very common. True, but the benefit of learning something while it is still young, makes me have the benefit of longer experience with the framework. And it means the amount of time expected from a “veteran” would be far less competitive in years to come. With facebook backing it up and major companies like netflix utilizing it i think it has enough staying power for the next few years. And that is really all you can do is go a few years out, before something newer and better comes along. It was after researching all this that I was able to make my choice. A shorter learning curve, growing attraction, growing implementation and popularity in the field, young and new but tested and well received, a philosophical approach that makes more sense to me. They all vastly outweighed angular for me. Everyone’s choices should be based on well research information. It doesn’t take very long and will really help you weed out a lot of what is going on out there. Just remember to keep in mind the present and the future of whatever it is you are looking into. Just don’t think too much about the future. Because with technology things can change fast. Just think maybe within the next 2-3 years. 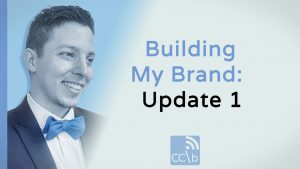 This is Chris with www.codechris.com and I hope you found this helpful.